Letadlo do Prahy, odlet z London (LTN) nouzově přistálo v Belgii, lidé tam strávili noc. A Pegasus Boeing 737-800 veered off the runway after landing on RWY 11 at Trabzon Airport (Turkey) and became stuck in the mud on the edge of a cliff. No major injuries reported. There have been reports of a "icy runway", however lowest temperature recorded was 8°C (46°F). Mode-S data suggest the aircraft touched down normally at 143 knots over ground. Ikdyž lítal většinu času jen s kusem hadru nad hlavou, byl to pro mně PAN pilot a moc dobrý člověk, je mi to moc líto. 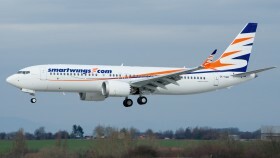 Aerolinky Travel Service představily nový přírůstek ve flotile, kterým je letoun čtvrté generace Boeing 737 MAX 8. První z 39 objednaných strojů přistál na pražském letišti v Ruzyni ve středu po poledni, do konce roku jich české aerolinky převezmou dalších pět. Na první let vyrazí letoun ještě dnes a to na pravidelnou linku z Prahy do Malagy. *1963 – †2010 Ing. Pavel Svoboda CSc. Europe’s new troop transporter may never go into battle with all the promised military capabilities after buyers of the A400M agreed to let Airbus (AIR.PA) negotiate an opt-out for features deemed too difficult to build. Co císařpán řídí, dobře řídí. 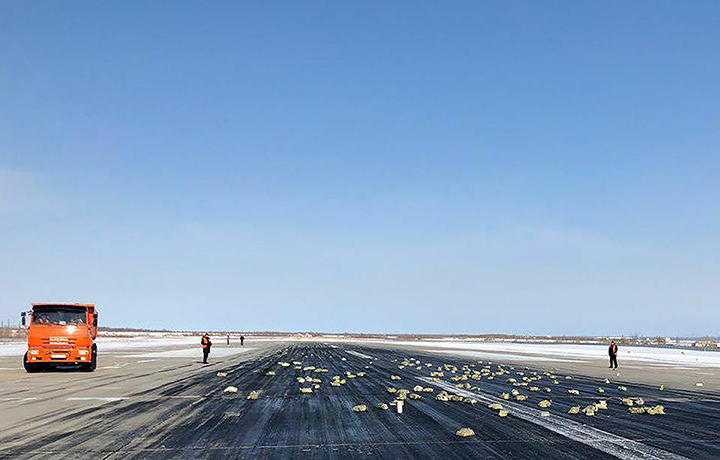 The plane with ten tons of gold, platinum and diamonds lost part of its cargo after taking off from Yakutsk airport today. More rained down as the aircraft gained height. Kdyby to někoho zajímalo tak v pátek a sobotu máme na Brněnské přehradě mistrovství ČR ve slalomech motorových padáků (kolem pylonů, nad vodní hladinou) Máme v NOTAMech vyhrazený prostor a přidělenou frekvenci a volačku PŘEHRADA RADIO (tam to budu dirigovat já!). Kdybyste se někdo chtěli stavit podívat nebo pokecat tak dejte vědět. Watch as this Chinook pilot positions the back of the helicopter against Mount Hood, allowing seven people to get onboard. Pokud jste nekoukali, tak Martin Sonka prave vyhral Red Bull Air Race 2018! Jedno z nejděsivějších videí za poslední dobu... Stalo se 22. ledna. Four L-159s from Draken International were deployed to Eglin Air Force Base last month to provide aggressor training to F-35As from the 58th Fighter Squadron. An Atlas Air Boeing 767-300 freighter on behalf of Amazon Prime, registration N1217A performing flight 5Y-3591 from Miami,FL to Houston Intercontinental,TX (USA) with 3 crew, was on approach to Houston in contact with Houston Approach, routine communication, when radio and radar contact with the aircraft was lost about 30nm southeast of Houston Intercontinental Airport at about 12:40L (18:40Z). Approach called the aircraft once without response at about 18:40z and again at 18:47Z, at 18:47Z ATC queried "how do you read?" In the following approach queried several other aircraft on approach whether they were able to see the aircraft somewhere (on the ground), all negative responses. The aircraft was found near position N29.7636 W94.7145 having impacted the waters of Trinity Bay about 1.5nm northwest of Anahuac's Bayside Community Hospital. 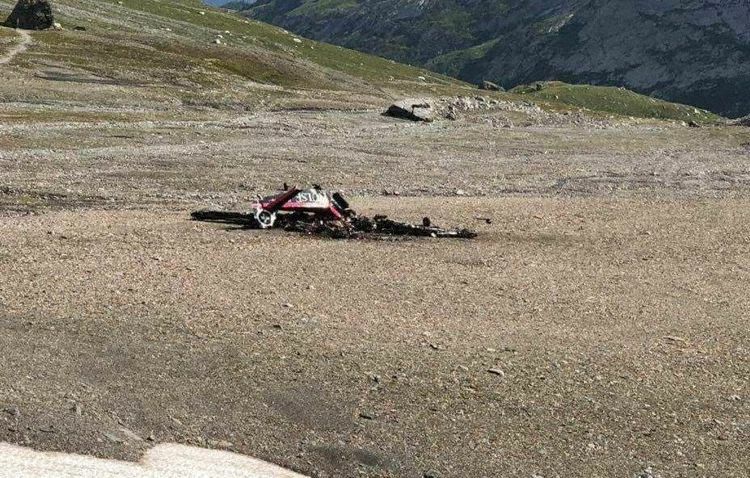 One body was recovered from the crash site.